Does know what the updates part numbers are or have pictures? How are most of you fixing the leaf spring clunking noise on these trucks? Anyone have luck getting dealer to replace? Nice truck. How about super duty? What made you want to trade? I hear those new power strokes are awesome. So moral of this story is this offer is just used to draw in customers. 6 years is a long time anyways. This answers my question. 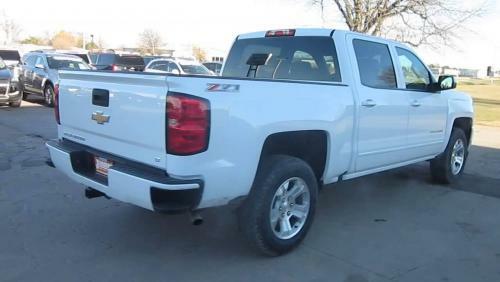 I see where dealers have 2018 lt z71s at 35-36k right now. But I assume that wouldn’t be the case if you go after that 0%. Guess I’ll keep what I have. On another note. I drove the new f150 with 3.5 and 10 speed. Wasn’t impressed. Maybe they smooth out over time but engine noise and transmission were not a big seller to me. Ride was good though. Has anyone here ever got the 0% for 72 months financing offered this time of year by the dealer. 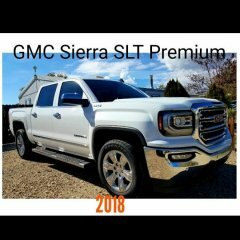 I personally have never been to one of these "black friday sales" so the best financing Ive ever gotten buying my trucks in the summer is 1.9%. Just curious as to how realistic this is or if the dealer just lures people in and then jerks them around once you start to finance. I usually go through my bank. By the way, for those of you looking to tell us about your 850 FICO. You know who you are so please spare us. We can neither verify nor believe you. Guess you “customer service” guys only care about the new models. Owned both 2016 and 2017 new. Not had zip lock bags. You’ll find that this isn’t the only place gm cost cuts. Interest rates are crazy right now. This has got to hurt sales. Ram is doing the same thing. They'll just call it a 1500 "classic". Im surprised there is a big enough demand considering the competition. Anyone use these tires and have any positive or negative feedback? Going one size larger from the stock 265/65/18 to 275/65/18. Those are good tires. Reason I asked if you put new tires on is in my experience the better ride comes from a new set of tires rather than shocks or control arms. Not that they dont help but this is a common misconception.